In general, you can browse many of our pages without revealing any personal information. We might track the Internet domain addresses from which you visit us and analyze this data for trends and statistics, but individual users remain anonymous unless you voluntarily tell us who you are. If you purchase a product from the ASC Store, we will ask you to provide information that includes your name, shipping/billing addresses, telephone number, email address, credit-card information and occupation. We also maintain a record of your purchase. We use the information you provide for internal purposes, such as confirming and tracking your order, analyzing trends and statistics, and informing you of products, services and offers that might interest you. We also contract with outside companies to provide certain services, including credit-card processing, shipping and data management; we provide these companies with the information they need to perform these services. 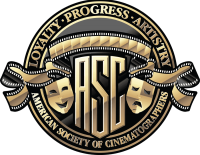 We share data collected about our customers with other units within the ASC, such as American Cinematographer magazine. Occasionally, we make names and addresses of our customers available to other reputable companies whose products or services might interest you. If you would like your name removed from lists we share with other companies, please email [email protected] or send a written request to: Saul Molina, c/o ASC, 1782 N. Orange Dr., Los Angeles, CA, 90028.